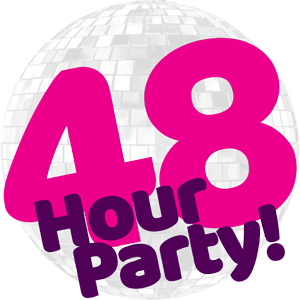 Facilities | 48 Hour Party! We have all the facilities you need to make your 48 Hour Weekender feel like a home away from home. From our Nisa Local Shop to kit you out for all of your self catering needs, to our Queen Victoria Pub where you can order a hot meal and a pint! Or if you fancy a hot breakfast made for you after your night of partying you can purchase one as well, no trouble. You have all the options, from self catering to half board, eating in or eating out. With each apartment you get self catering facilities with a range of appliances from a kettle to fridge. You can always purchase meals independently whenever you want(during meal times of course) the Queen Victoria Restaurant has the option of and all you can eat breakfast from £4.95 at Southport, and £5.95 at Camber Sands. There is also a 3 course meal available from £7.00 at Southport, and £8.95 at Camber Sands. 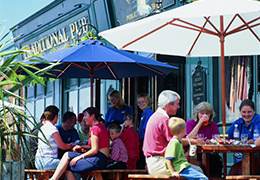 The Queen Vic Pub is perfect if you feel like a friendly pint and some great pub grub? Pull up a seat at the Queen Vic and enjoy a traditional English pub with great beer, food and wine at reasonable prices. The Vic has seating inside and outside. Happy hour is daily from 5-7pm! At Southport try out the The Ice Cream Hut with a great selection of ice creams and more, you can also order coffee and teas at the bars which include The Queen Vic, Lunars Bar and The Fun Factory Bar. And at Camber Sands we have many fast food options to choose from, including Margherita pizza at Mama’s Pizza or Casey’s Whistle Stop with a selection of American style food; SFC chicken, fries, burgers and more. Stop by The Ice Cream Hut for for some traditional ice cream and lollies.